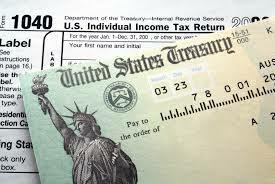 If you’re ahead of the curve or right on time, you should be wrapping up your income tax preparation for the year. Being knowledgeable about where you or your business succeeded in the past year can be a wakeup call about revising your estate plan. Over the course of one year, a lot of things can change in a person’s life or a business. This might call for some changes in your asset protection planning or estate planning as well. This can be a very valuable exercise especially if you claimed new deductions from this past year- did you buy a house? Have a child? It might be time to reconsider your approach towards planning or to at minimum update your estate planning documents to reflect new beneficiaries. Since you’re already in the mindset of thinking about how things have changed over the past year, it’s wise to get ahead of the planning curve and reach out for an estate planning review now. You might be surprised and a new strategy that could help you accomplish your goals more effectively. Contact us at info@lawesq.net.